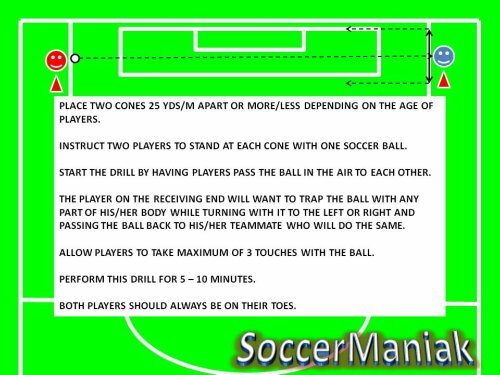 Passing and trapping soccer drills will improve the players coordination on the soccer ball and the familiarity with the ball in different situations. 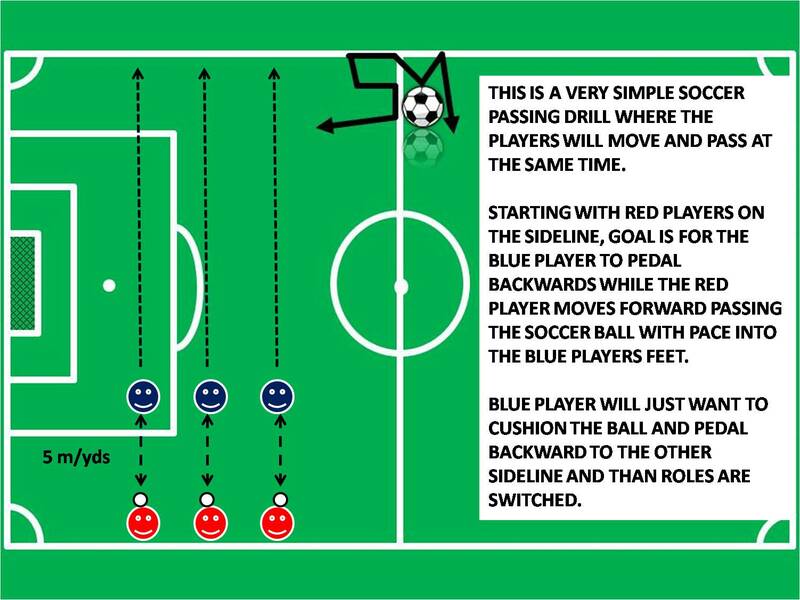 This is a fairly simple soccer exercise that can be done in a club setting or by individual friends wanting to work on improving soccer skills. Place 2 cones about 10 yds/m away from each other. 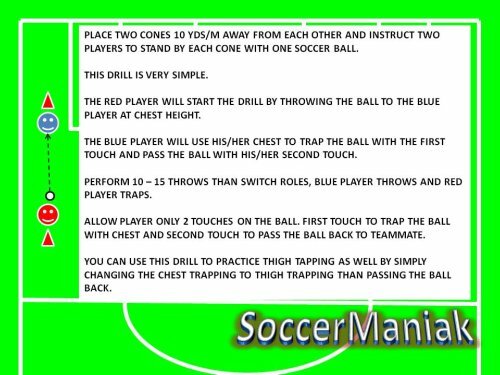 Each player will take a position in front of the cone with 1 soccer ball per 2 players. Players will start this soccer drill with one player throwing the ball midair, or on the ground. Second player will attempt to trap the ball with the first touch and pass the ball back with the second touch. 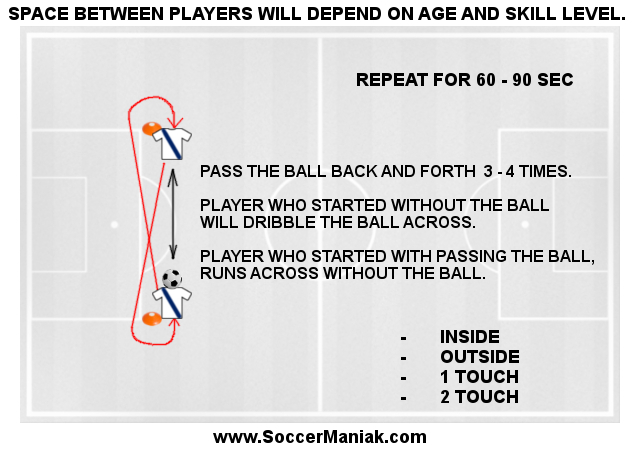 Players will switch roles after 10 - 15 passes. Players can practice ground trapping with inside and outside of the foot. 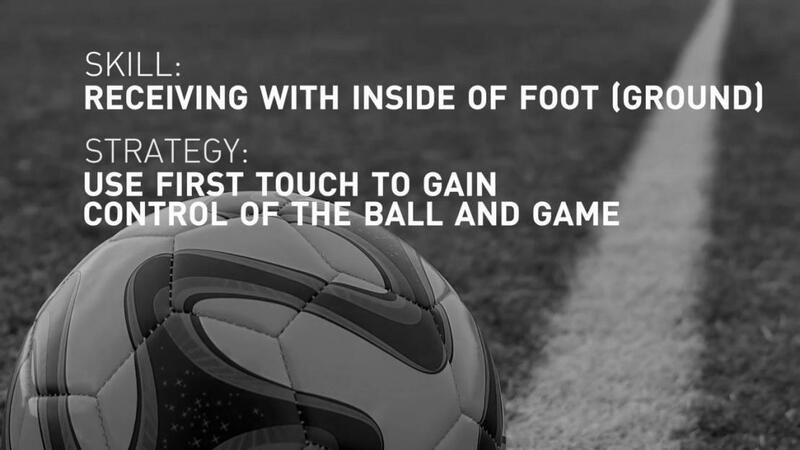 Players can train on letting the ball run by stepping over it, and than turning around the cone with the first touch and passing the ball back with the second touch. Get creative and use this simple set up to keep the rhythm going. I will sometimes allow players the freedom to do whatever they want with the ball and cones. If young players start getting confused with all the instructions, simply start the drill and let the game explain itself to players instead of trying to put it into words.